With Magic Arena we are at a new dawn of Magic: the Gathering, one that I am really excited about as it is a way to unite communities that live further away from each other. 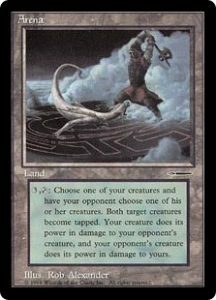 The idea to host a leaderboard on Magic Arena rose very early in the development of the mew online platform for the game we all love but it took until direct challenge was implemented to have a feasible way to actually have one. By that time Sander De Quick had made clear he wanted to do more with the concept than I wanted to, instead of a google form and some mails it was to be a separate website that hosted te entire tournament. Sander made arena.gentrymagic.com, which explains the rules, allows you to register (for free), will give you the pairings and link you through to a discord chat server (for free) to talk to other contestants and get further information and announcements. For now, the matches are best of 1, until there is an update that allows for best of 3 matches. We tried to make it work but sideboarding and matching up with the correct player starting the game was just too messy. Why would you join this tournament, though? 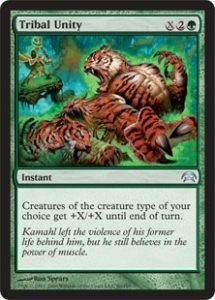 For one, because Magic is your hobby and I assume you play it for fun. Second, it is an official Gentry Leaderboard and will give byes just like any other leaderboard would. For the first season it will not grant an invitational slot. But you will need to hurry, to enter, you have until Monday Midnight CET. The next chance to enter will be at the beginning of January.